The partnership is made up of organizations with experience in guidance and technological services. Partners have collaborated previously on other European projects focusing on guidance, ICT tools, and most recently, guidance actions in Primary school, through the project Widening the Future. Educaonline’s portal, Educaweb, is the most important Spanish website devoted to academic and professional guidance. Since 1998 it has been dedicated to offering professional orientation services to individuals, institutions, educational centers and to offering consultant services to institutions. Educaweb has designed and developed ICT guidance tools and resources for students and teachers including Nep.tu, a resource tool about the Spanish educational system, and G.R., a personal interests and values test.  Educaweb will lead the activities that will produce the report of analysis of needs and impact study of the GEM game. It will participate in all other outputs and activities and dissemination of the project. It will integrate the GEM game in its online guidance resources. Centro Studi Pluriversum (CSP) is an Italian private company, engaged in the field of career education and career counselling, which has been planning, providing services and managing projects within the PES, guidance and education system in several Italian Provinces and Regions and through European projects for more than 15 years. It is a certified by Regione Toscana as provider for employment services and vocational and career guidance services and it is also a ISO 9001 certified company. CSP has a specific expertise in the field of guidance provision, developing and managing innovative projects and tools to support and improve the Public Employment Services and career guidance services in several Italian regions, including training and upgrading of the staff. As for ICT tools development, institutional capacity building and development and training and upgrading of public services staff (counsellor, teachers and other practitioners), especially in the field of career guidance, CSP has participated in several projects at national and international level. CSP will lead the activities that will produce the GEM online learning module for teachers and guidance practitioners. It will participate in all other outputs and activities and dissemination of the project. It will integrate the GEM game in its online guidance resources. CASCAiD is an established careers software development company that is a wholly owned subsidiary of Loughborough University. CASCAiD is the market leader for supplying careers guidance software within the UK. The company possesses a portfolio of products to meet the careers guidance needs of all ages. The Company has an established and highly successful record of providing bespoke web software applications internationally for or on behalf of national or local government organisations in Scotland, Northern Ireland, Republic of Ireland, Italy, Slovenia, Croatia, Denmark, Sweden, Canada and the US. CASCAiD’s most widely used tool is a careers matching system in which interests, qualifications, and skills are linked to occupations which can be used to support people when making career decisions. CASCAiD will lead the activities that will produce the GEM Manual for teachers and guidance practitioners. It will participate in all other outputs and activities and dissemination of the project. It will integrate the GEM game in its online guidance resources. UPCnet (Serveis d’Accés a Internet de la Universitat Politècnica de Catalunya, SLU) is a business created and owned by the Universitat Politècnica de Catalunya –Barcelona Tech. It is an expert corporation in university sector, education, learning, training and knowledge management via ICT, offering consultancy about e-learning processes and technology. UPCnet makes available to private and public organizations its experience in managing ICT services to over 45,000 users, a data network with over 15,000 access points, more than 2,000 intranets for teaching and management services, and over 10,000,000 monthly hits to websites it operates. UPCnet started using gamification techniques internally over four years ago on a platform 2.0 in order to encourage the workers of the company in innovation processes. Using personal reputation strategies and rewards UPCnet encouraged participation and a significant increase in the rate of personal contributions was achieved. UPCnet applies gamification strategies in Ulearn (http://www.upcnet.es/ulearn-en/comunitats) its learning and social solution for communities. UPCnet will lead the technical development of the GEM game, both the beta version and the revisions and improvements for final version. It will participate in all other outputs and activities and dissemination of the project. It will integrate the GEM game in its online learning and educational resources.